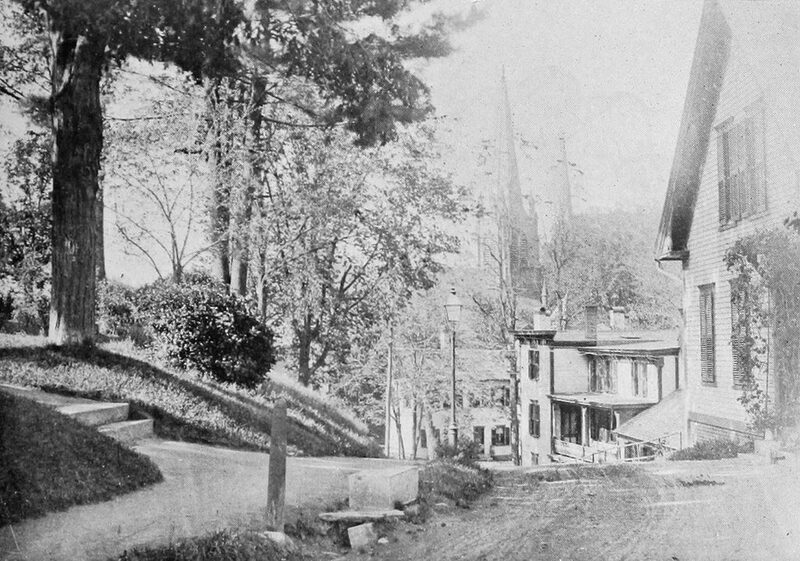 Looking north on Green Street toward High Street in Brattleboro, around 1894. 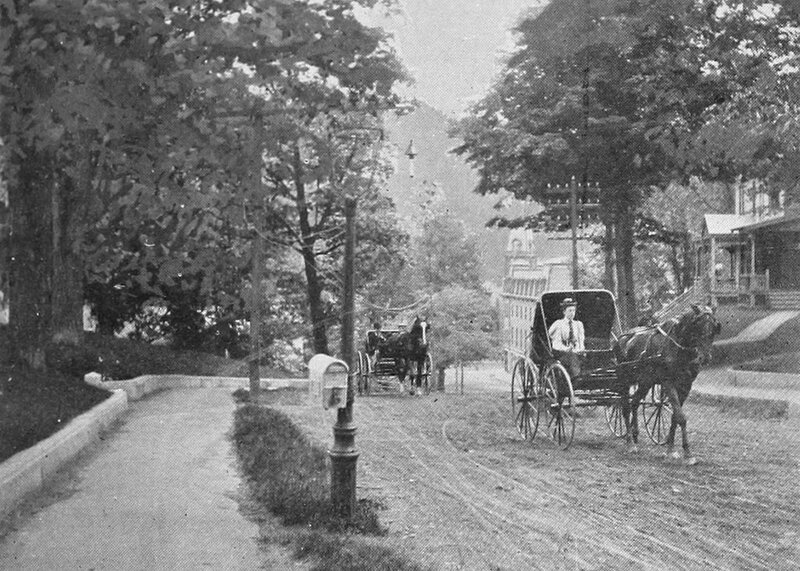 Image from Picturesque Brattleboro (1894). 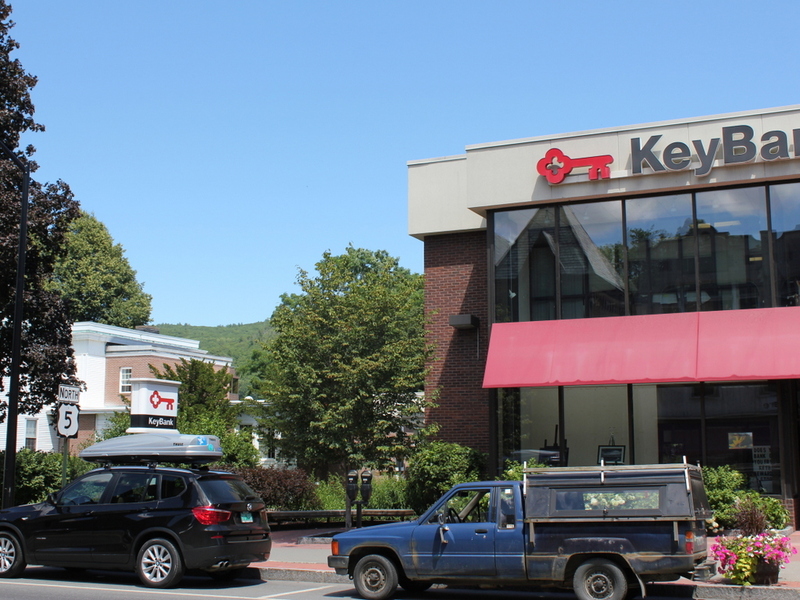 Downtown Brattleboro is located right along the Connecticut River, with Main Street running parallel to the the river. However, the topography quickly rises to the west of the river, and much of the downtown area is built into the side of a hill, as shown in this scene. 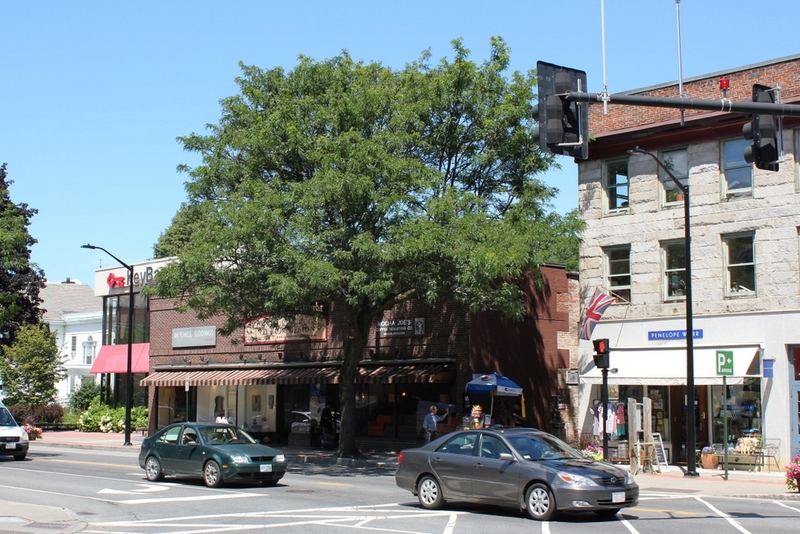 When the first photo was taken, this area consisted primarily of modest, wood-frame houses, in contrast with the large brick commercial blocks that were located just a block to the east on Main Street. 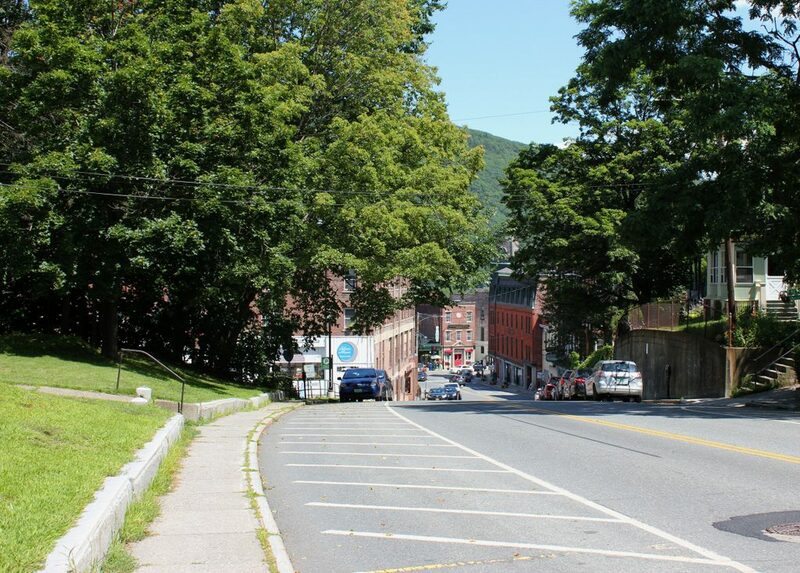 At the bottom of the hill is High Street, one of the main east-west roads in the town, and further in the distance the two steeples mark the location of Main Street. The one closer to the foreground is the First Baptist Church, which was completed in 1870, and the one further in the distance on the right is the Centre Congregational Church, which was built in 1842 and had its current steeple added in 1864. 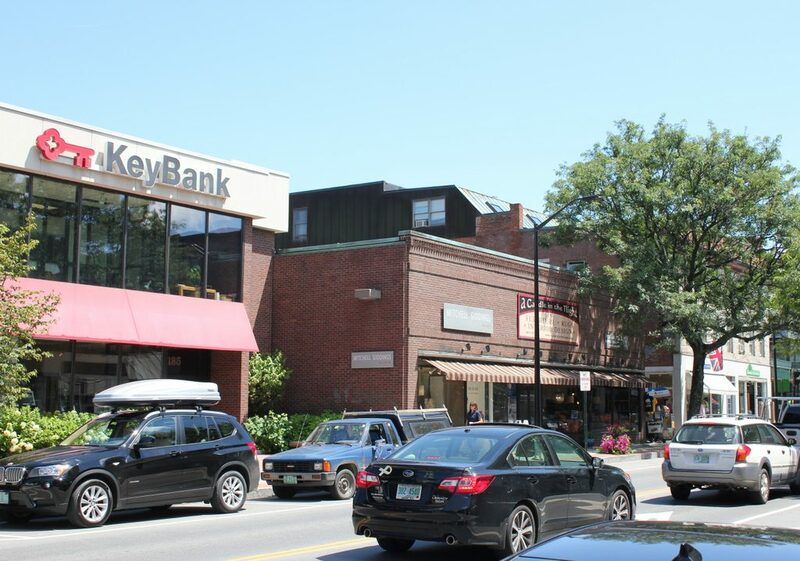 Today, the only identifiable feature from the first photo, aside from Green Street itself, is the First Baptist Church steeple, with its spire still rising above the roofline of the old Brooks House Garage. The Centre Congregational Church is also still there, although its steeple is no longer visible from this angle. Otherwise, this scene is completely changed from the first photo, and the two most visible buildings are the garage on the right and the Shriners Hall on the left, which was evidently built here sometime in the early 20th century, on the site of a house that had stood here when the first photo was taken. 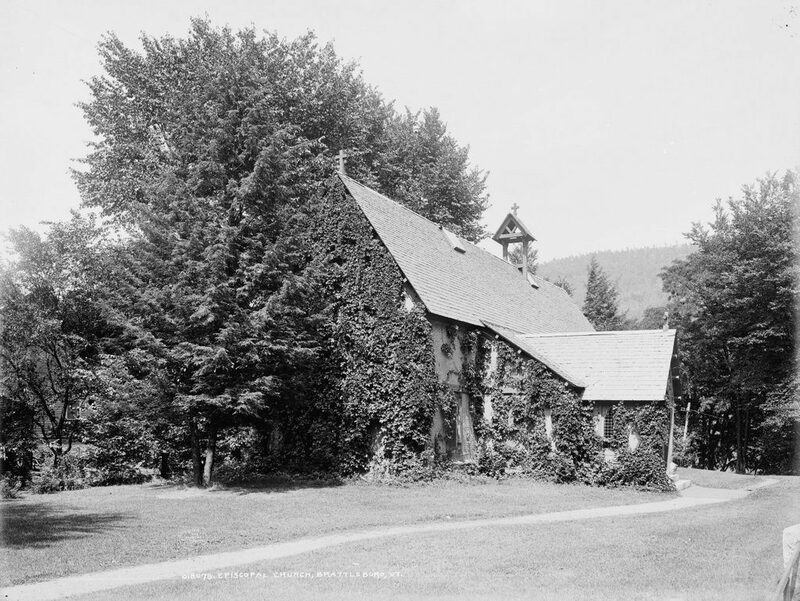 St. Michael’s Episcopal Church on Main Street in Brattleboro, around 1905. Image courtesy of the Library of Congress, Detroit Publishing Company Collection. 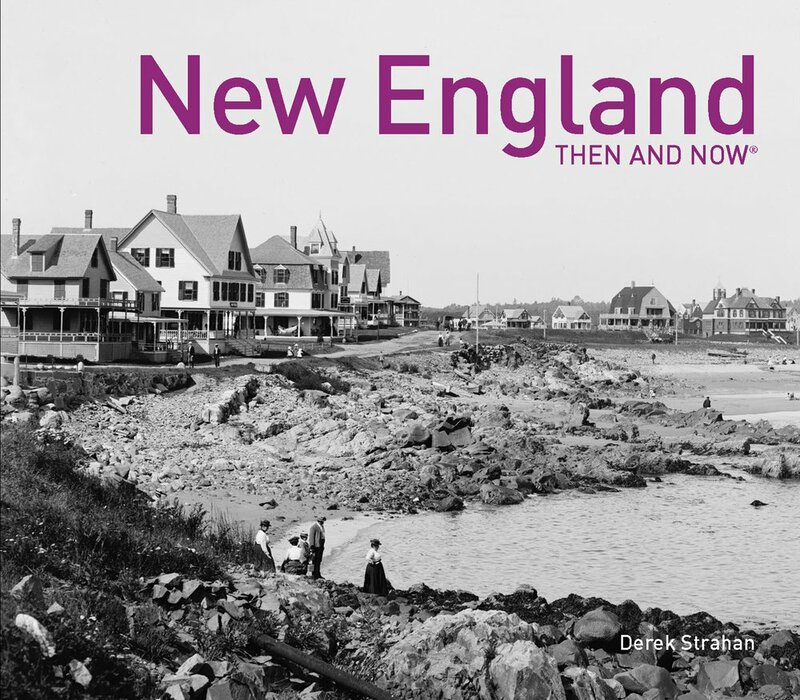 Throughout New England’s early history, Episcopalians were a religious minority, particularly in small, rural towns, where the Congregational church was the predominant religious organization. 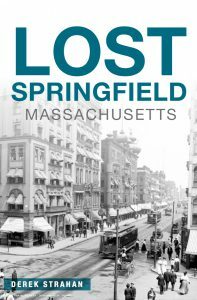 However, there were Episcopalians in the Brattleboro area as early as 1817, when a church was built in neighboring Guilford. Episcopalian services were apparently held here in Brattleboro on occasion, and the first regular church was established in 1836, although this only lasted for a few years. 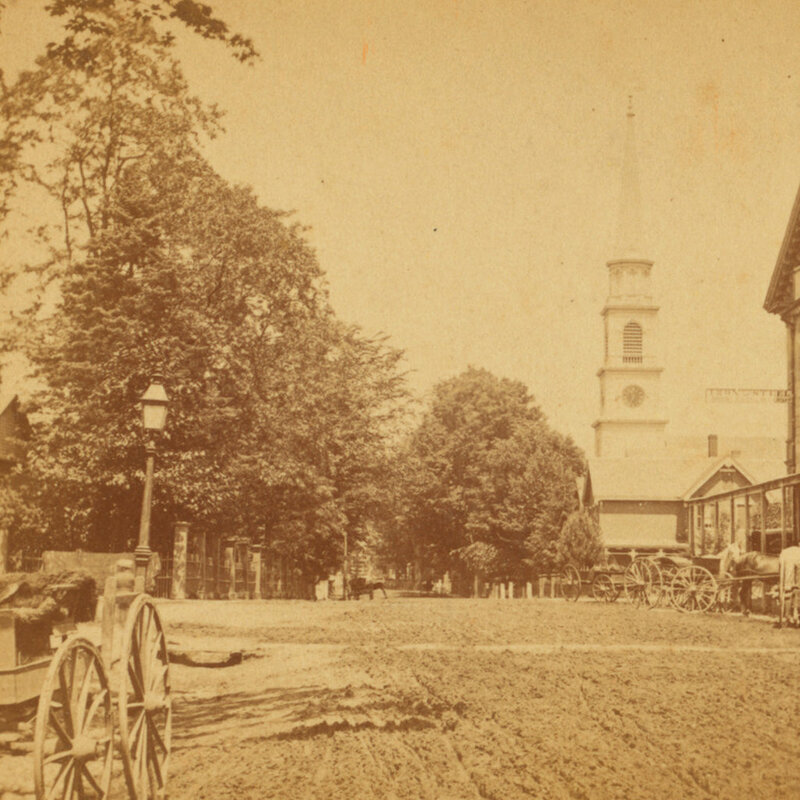 By the early 1850s, though, the town’s population increase, combined with an influx of affluent summer visitors, led to the establishment of St. Michael’s Episcopal Church in 1853. The parish’s first, permanent church building was completed in 1858, on a lot immediately to the north of the recently-constructed town hall. It is set back from the street, and the ivy and trees hide much of the building’s design in the first photo, but its appearance resembled a medieval English country church. It featured a blend of Gothic and Tudor elements, including a steep roof, a quatrefoil window below the main gable, and a half-timbered exterior with brick infill. 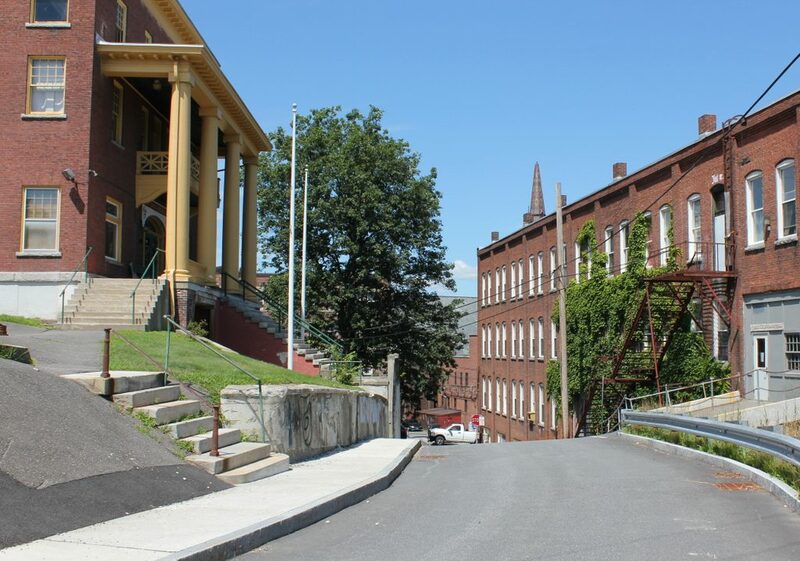 Local tradition holds that it was the work of prominent architect and Brattleboro native Richard Morris Hunt, but there does not appear to be any documentation to support this. 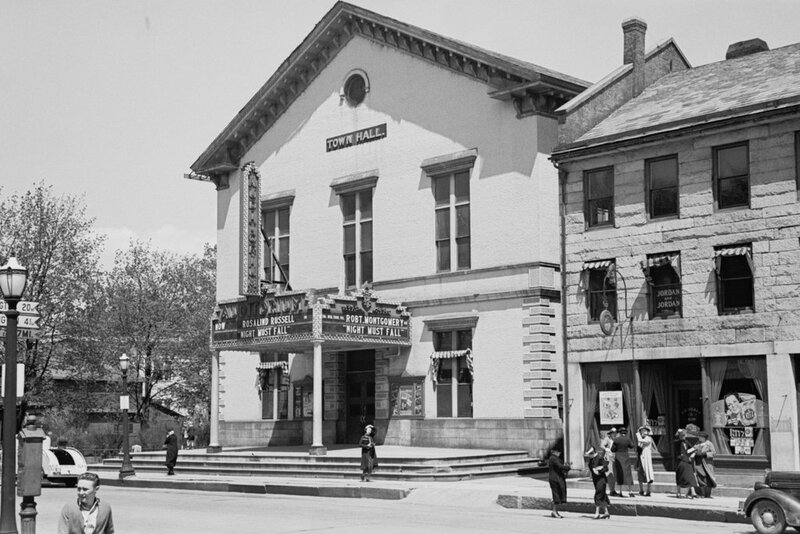 Instead, it was evidently based on the designs of Joseph Coleman Hart, a New York architect who was responsible for a number of Gothic-style churches during this period. The church stood here for nearly a century, but by the early 1950s this Main Street site had become valuable commercial real estate. The mid-20th century saw a number of downtown redevelopment projects across the country, most of which involved the demolition of significant numbers of historic buildings. 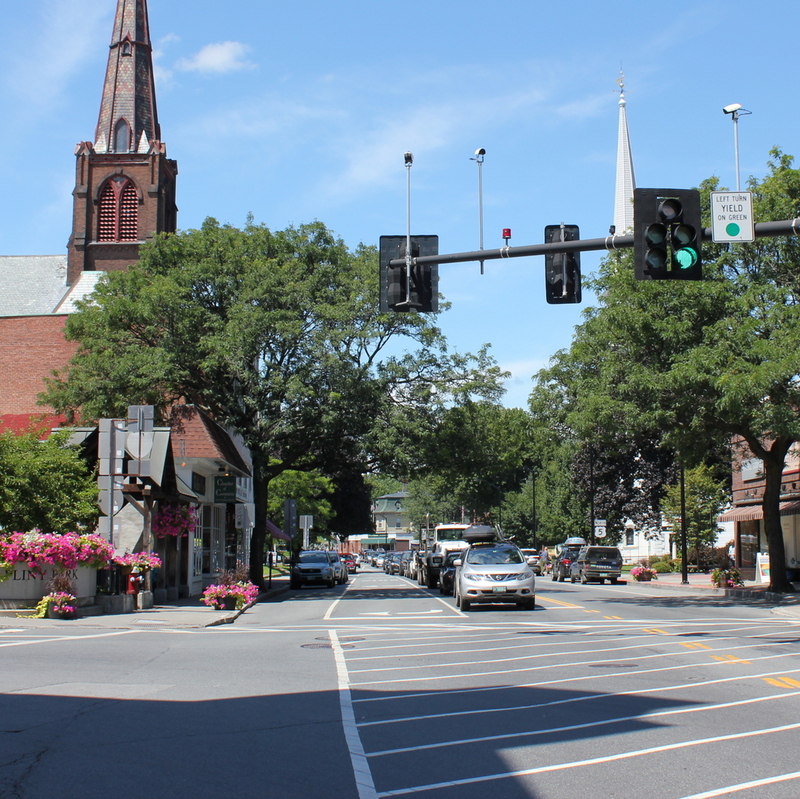 Here in Brattleboro, this included the 1953 demolition of the old town hall, which was located just to the right of St. Michael’s Church. 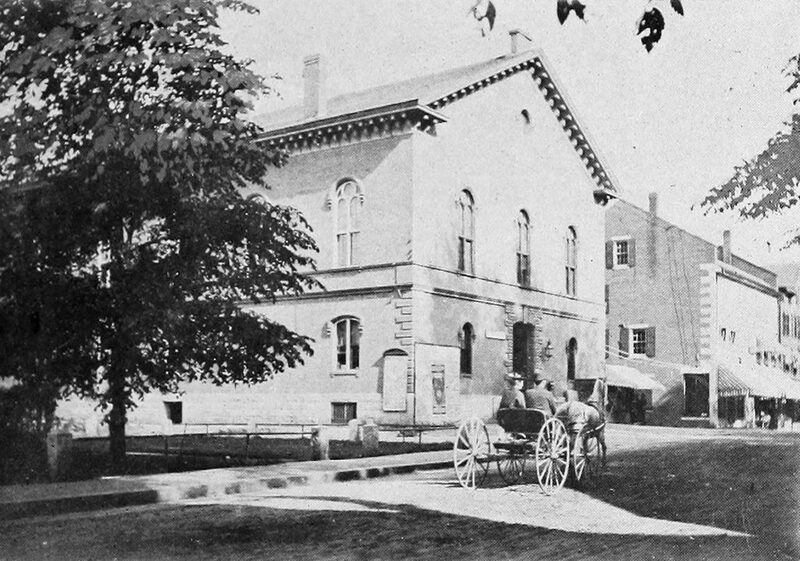 The site of the church was also slated for redevelopment, but unlike the town hall, the old church was moved to a new location about a half mile north of here, at the corner of Putney Road and Bradley Avenue. A bank building now stands on the lot that the church once occupied, but the historic church is still standing at its new location, and remains in use as an active Episcopalian parish.